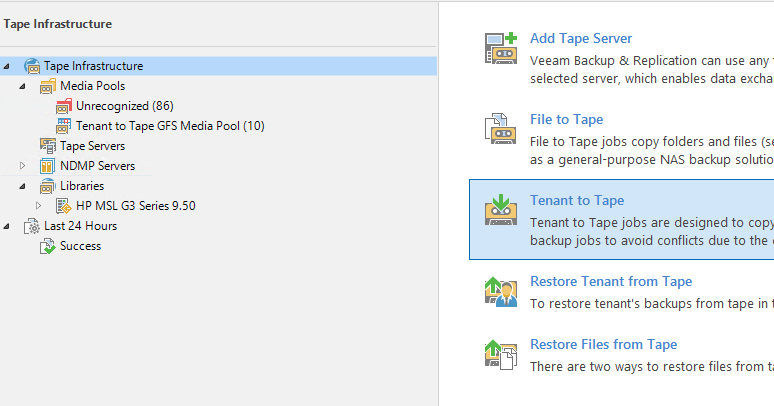 Tenants to Tape is a new feature available in Veeam Cloud Connect 9.5 Update 4 that enables service providers to offer truly air-gapped protection to their tenants. For the tenant: service provider can offer Tape as a service options by storing additional copies of tenants backups into tapes, to achieve regulatory compliance, long-term retention, and so on. In both cases, Tenants to Tape is a managed service operated by the service provider. Depending on their needs, the service provider can choose to use one of the two options. 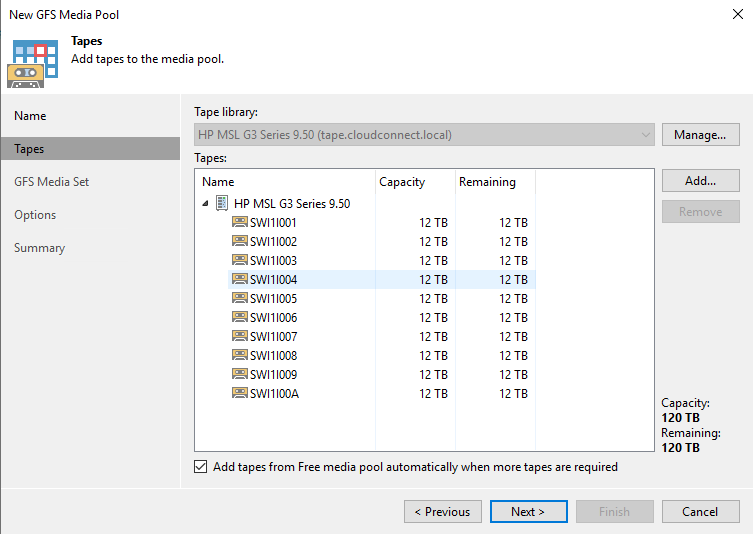 For example, internal protection of Cloud Connect may leverage regular media pools, while services like immutable backups may use WORM (Write Once Read Many) media pools. In the remaining steps, the service provider selects the previously created GFS media pool as the target, configures additional options and set the schedule for the scan needed to find new backup sets. This scan should ideally happen after all the new backups have been uploaded by the tenants, for example in the late morning. 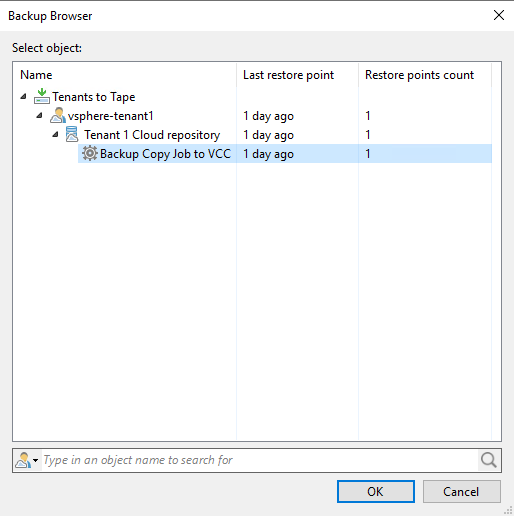 NOTE : Tenants to Tape requires tenants to use Veeam Backup & Replication 9.5 Update 4 to store their backups into Cloud Connect. If a previous version is used, the service will not store any data into tapes and will send out the message: Backup skipped. 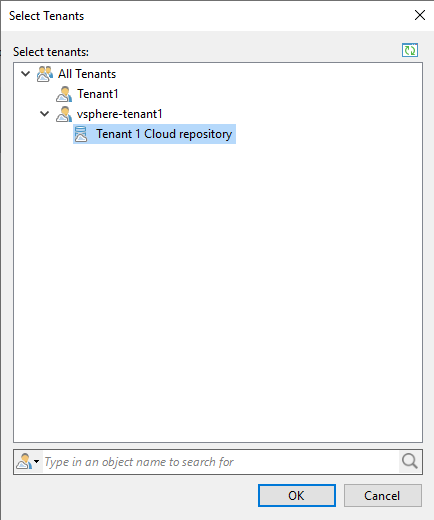 Tenant has unsupported product version. 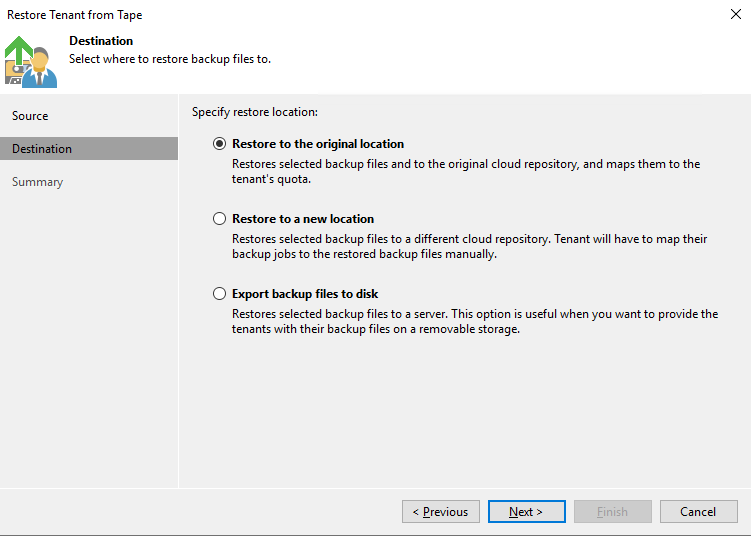 Regardless the choice for the backup, the restore from tape is common for both options. 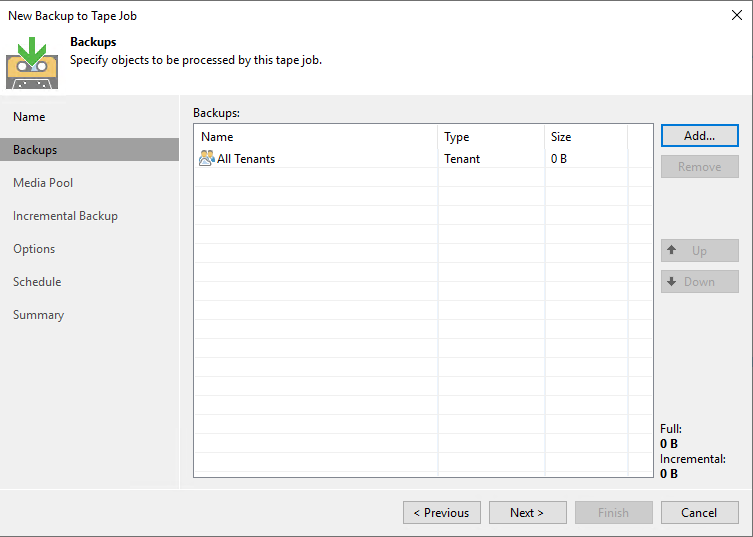 The service provider goes into the tape infrastructure and selects Restore Tenant from Tape to start the restore wizard. 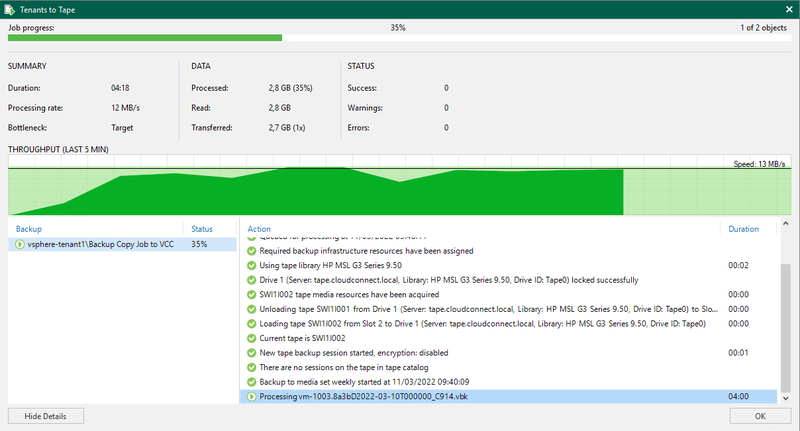 Finally, the service provider has multiple target options, like to restore the backups into the original location following a data loss in the cloud repository for example, or in a new destination like a new cloud repository or a removable media to ship the backups to the tenant.